I always have believed that the best way to teach many of our subjects is through stories. 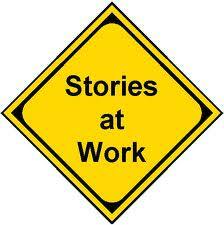 A recent post in a Harvard Business Review blog made me think about the relationship of stories to our work. The post focuses mainly on leadership and persuasion, but its broader points apply to most of our teaching, whether it occurs in a classroom, a publication, or while advising. Here is the main point. “Effective storytelling can serve anyone in leadership who seeks to persuade others to his or her point of view. Opinion-based rhetoric is often more polarizing than persuasive, while statistics often go in one ear and out the other. But a careful blending of rhetoric and facts, woven into the right story, can change minds.” Substitute “teaching” for “leadership” and the idea applies directly to our work. The post contains some nice basic suggestions for shaping an effective story. I remember many years ago teaching a group of jailers about HIV-infected inmates in jails. This was during the early days of AIDS and many people were worried that they could contract the disease by coming into casual contact with an infected person. The evidence at the time clearly indicated otherwise, but it was difficult for people to hear the medical experts. People were afraid. Many HIV-infected people, and especially inmates, were treated like pariahs and demonized. The first instinct of many jailers was to segregate known HIV-infected inmates and treat them badly. After telling the jailers about the latest medical findings, I argued that any inmate might be HIV-infected. They were kidding themselves by assuming that the only HIV-infected inmates in their jails were those already-diagnosed and identified as infected. The safest course was to assume that any inmate might be infected, take routine precautions with everyone, and not single out HIV-infected inmates for any sort of special treatment. They weren’t buying it, even though my arguments were supported by the latest medical evidence and the law. I had made the same arguments unsuccessfully to a previous class, and this time I had arranged to have an HIV-infected former inmate talk to the jailers. It was a courageous thing for him to do, and it was a powerful classroom moment. The former inmate told how he had contracted the virus and how he had been discriminated against by people who knew his medical condition. He had lost his job, his family had rejected him, and he was shunned by his church. He also told them that he had lied when asked about his HIV status during the booking process because he was afraid that he would be subjected to harsh treatment in jail. He was a compelling storyteller. The jailers were mesmerized. He put a human face on an abstract disease, and the jailers responded to him with compassion. After a break, during which many came up to the inmate and expressed concern for him, the jailers were much more receptive to my advice about the best protocols for managing HIV in their jails. Many of the jailers in the session talked for years about how that experience affected their attitude toward HIV-infected inmates. Not every subject is so dramatic, and not every session lends itself to storytelling. Most of the time we just need to give people the information they need. But we use stories a lot in the form of case studies, hypothetical examples, best practices, and in sharing the facts of court decisions. The effective use of stories can lead to a better understanding of many subjects, and it also increases the chance that people will remember the fundamental lessons of the stories. Everyone likes a good story. Every remembers a good story. I’d be interested in hearing about examples where you have used storytelling to great advantage in your teaching. I’d also be interested if you have ideas about anything we might do to improve our storytelling skills. In development, we often use to stories to help potential donors move closer to a decision to make a contribution to the School of Government. We have found that not everyone shares our passion about working with local government; however, everyone wants to help produce good government in North Carolina. Sharing stories about our clients, challenges that affect particular jurisdictions, personal triumphs of our MPA students has helped us help others understand how our work affects all North Carolinans. Special thanks to all of you that have shared your stories with us and allowed us to highlight you in the Coates Connection and in proposals to potential donors. Your stories are helping us to help make a difference in the lives of many! There’s a great book called “Make to Stick” that talks about the power of storytelling as a way of making ideas “stick.” It’s supposed to be a marketing book but it’s one of the best books I’ve read on teaching. (To be perfectly honest, it’s the only book on teaching I’ve been able to read from cover to cover.) The book explains the six principles of “stickiness”: simplicity, unexpectedness, concreteness, credibility, emotions, and stories. All six principles are beautifully illustrated by your example, Mike! You can read more about it here: http://heathbrothers.com/madetostick/.